The shareholders own the company through its shares and have ultimate control over it. If there are two or more shareholders, it is important to make sure that their financial interests in the company are protected by having the right provisions in the company's articles or in a shareholders' agreement. 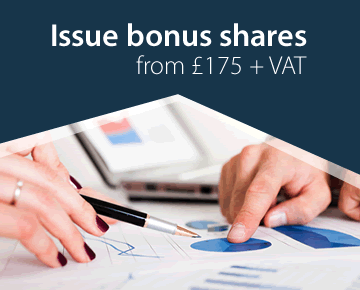 Any shareholder who does not have a majority of the shares is potentially vulnerable and needs legal protection. The shareholders may be the same people as the directors, but need not be. Even if they are the same people, it is important to understand that their powers as directors and as shareholders are different and are exercised in different ways. Directors exercise their powers at board meetings (or, if the articles allow, by written resolution) by unanimous or majority vote. The rules for making such decisions are to be found in the company's articles. Unless the articles say to the contrary, each director has one vote on such decisions, regardless of the number of shares s/he may have. Shareholders' decisions may be made by formal written resolutions or resolutions passed at general meetings. There are two types of shareholders' resolutions. Ordinary resolutions are passed by a simple majority of votes and special resolutions by a three-quarters majority. The majority is calculated by the number of votes each shareholder has, and this depends on the number of shares each holds. If the company has different classes of shares, some shares may be non-voting or carry more than one vote per share. A transaction in which one or more directors has an interest (e.g. selling property to, or buying it from, the company ) can be approved. If the minority shareholder has 25% or less of the votes, the majority can even change the articles, remove pre-emption rights on shares or wind the company up. To protect against such decisions, there should be a shareholders' agreement in place from the time when the company is set up. It will also be important to consider whether the company should have any special classes of shares and whether any non-standard provisions should be included in the articles.